I absolutely love including nursery rhyme printable for children in my homeschool preschool. 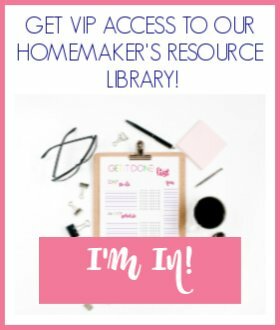 They are great for my kindergartner, too! 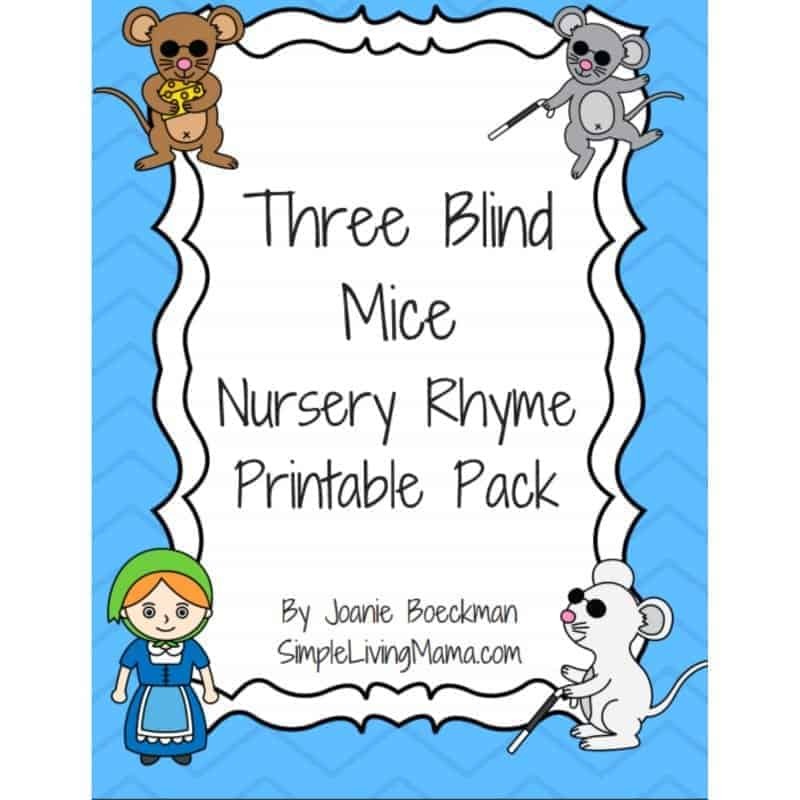 I created the Three Blind Mice nursery rhyme printable pack to enrich my kids’ morning time, and to help us with memorizing classic nursery rhymes! If you are unfamiliar with how I teach nursery rhymes, I will explain below! The first thing I do is print a nursery rhyme poster. I keep the poster in a page protector in my Morning Time Binder. Every morning, I show the kids the poster and we sing the nursery rhyme together. It doesn’t take long at all, and everyone has it memorized. Even my two year old! She loves nursery rhymes. 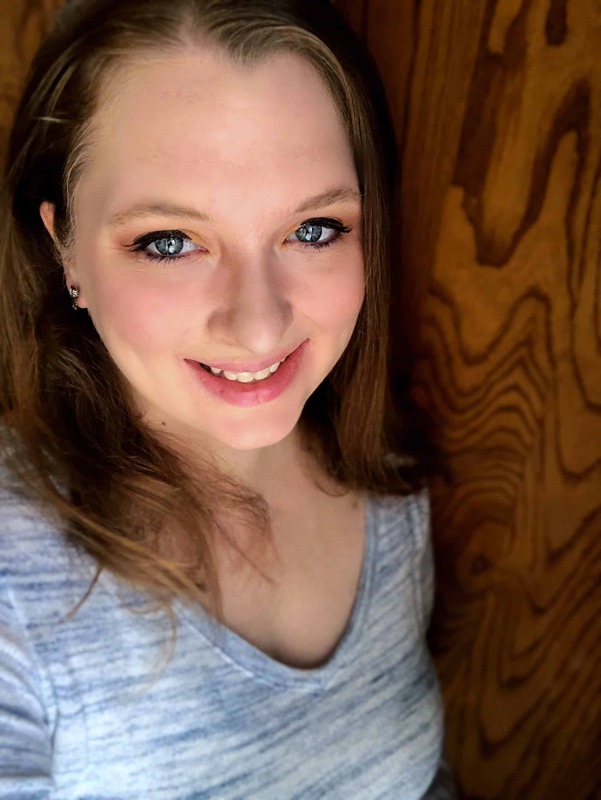 We typically work on one nursery rhyme per month. I use the minibooks for my five year old. He enjoys coloring the sheets and putting the book in order. He also likes helping me staple it. Once he has the nursery rhyme memorized, it’s easy for him to “read” his little minibook. 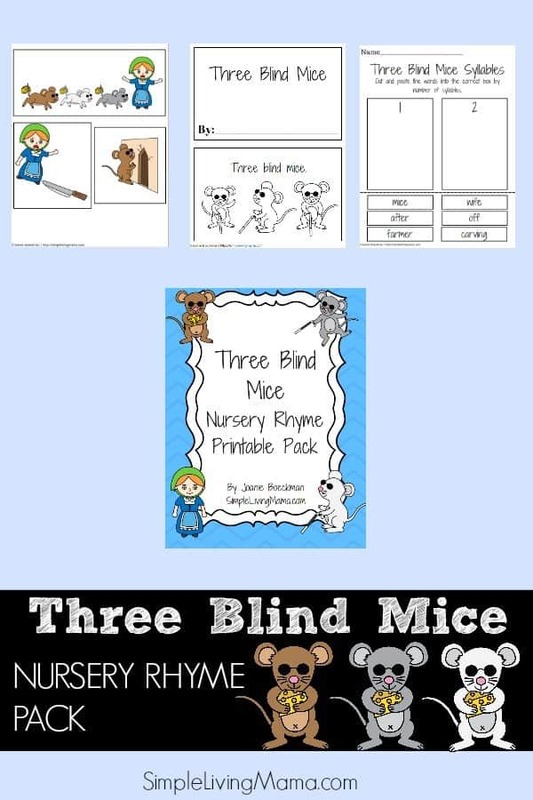 I do include a few nursery rhyme worksheets. This particular pack includes a worksheet that will help children begin recognizing syllables in words. Simply help your child learn syllables by saying the word and clapping with each syllable. Then, the child can cut and past the words into the correct box! Nursery rhymes are wonderful for teaching story sequencing because they are short and usually easy to remember. Simply have your child cut and paste the pictures in the correct order of the nursery rhyme. I don’t know about your kids, but my kids love to put on a show. They use our tabletop puppet theater and reenact the nursery rhyme with the printable puppets. They often make up their own stories, too! I love that I can just print the puppets, cut them out, and glue them on craft sticks for easy puppets! 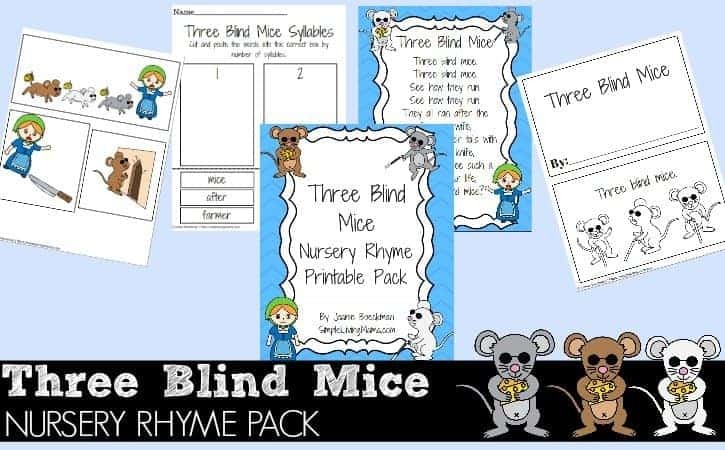 If you’d like to snag a copy of the Three Blind Mice Nursery Rhyme Printable Pack, head on over to the shop. It’s free for a limited time.